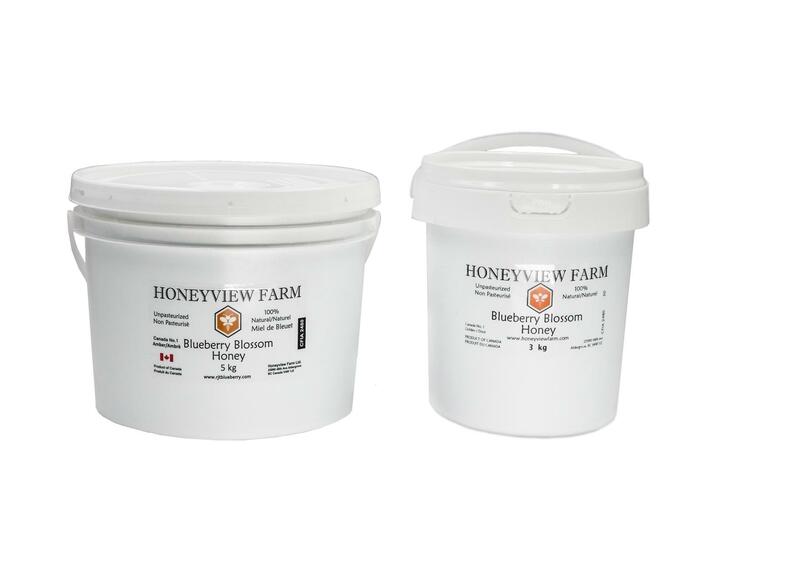 Our Blueberry Blossom Honey is produced by Honeyview Farm's own Bee Colonies from Blueberry blossom in Fraser Valley BC Canada. It is guaranteed to be 100% Pure and Graded as Canada No. 1. 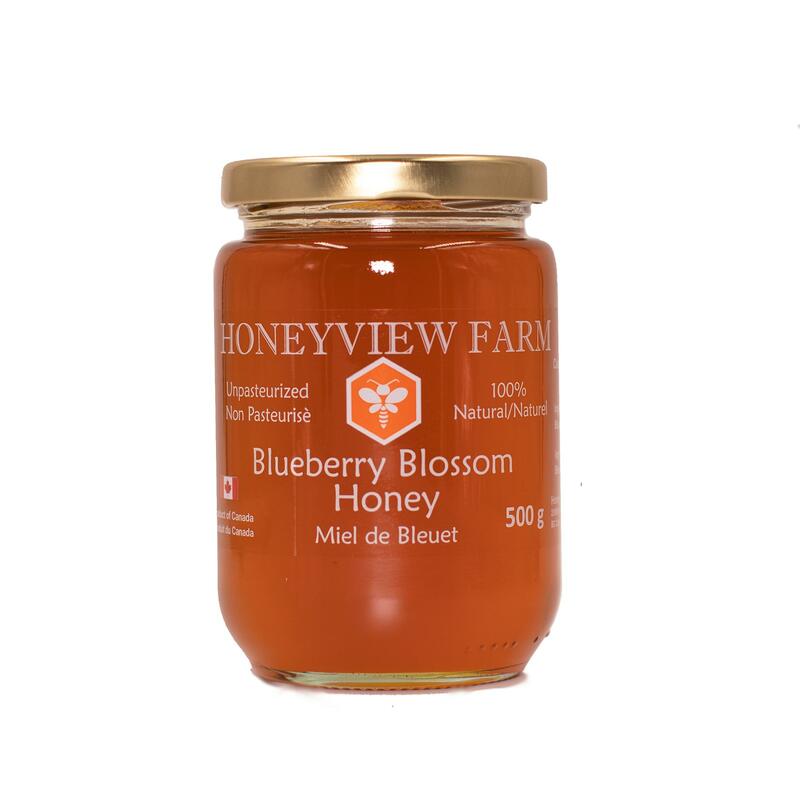 Blueberry Blossom honey is usually light amber or amber in color and with a full, well-rounded flavor and a hint of fruitiness. 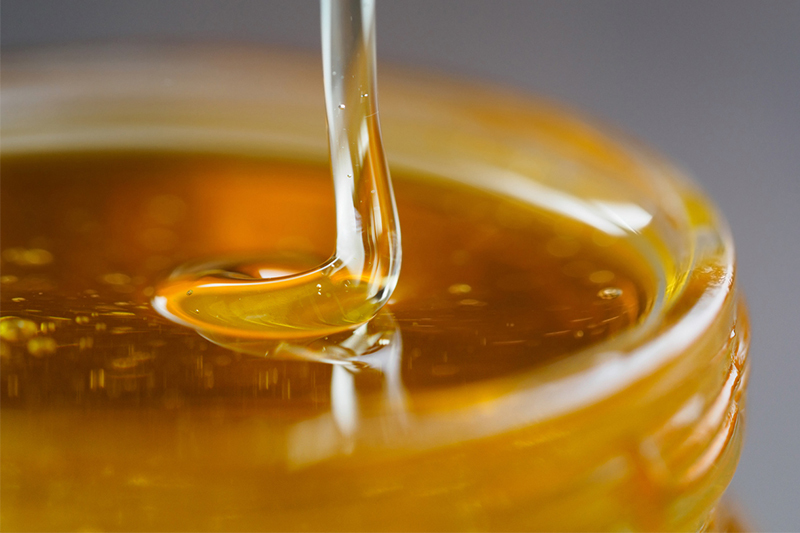 Many people believe that Blueberry honey is honey to which Blueberry flavor is added; this is not so. 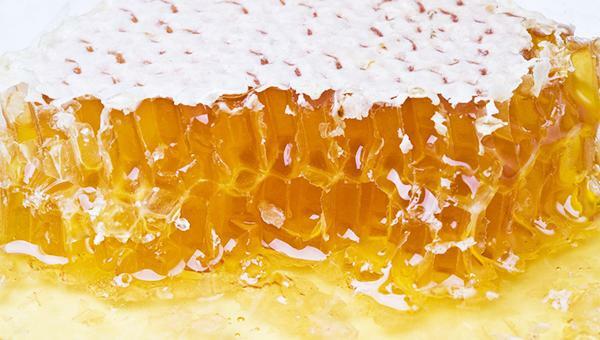 Pure Blueberry honey is the result of bees gathering nectar from the Blueberry bush. Our raw blueberry honey tastes delicious in our Organic herbal Teas, poured over baked goods, added to oatmeal or simply by the spoonful. What Is Blueberry Honey Good For? 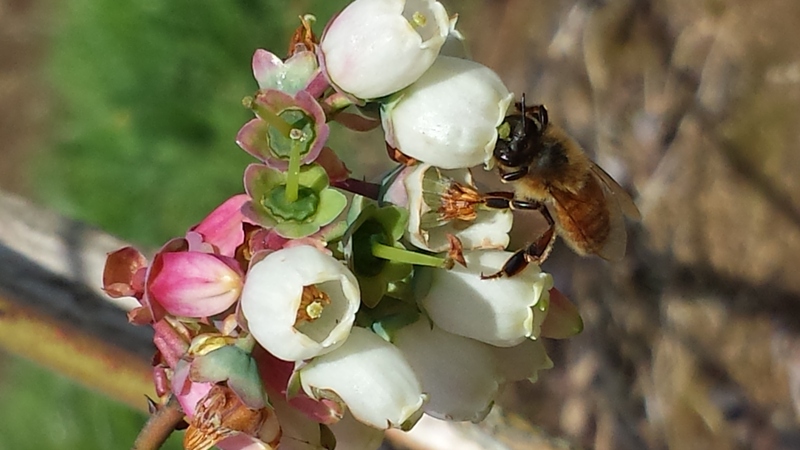 Honey bees gather nectar from the small white blueberry blossoms to make this sweet and healthy treat. Blueberry's themselves are known to have high concentrations of anti-oxidants so it makes sense that honey made from the blueberry blossom would inherit properties that make it good at fighting bacteria.